VANCOUVER, BRITISH COLUMBIA--(Marketwired - March 31, 2015) - Northair Silver Corp. (TSX VENTURE:INM) (the "Company" or "Northair") is pleased to announce that it has contracted MPX Geophysics Ltd. ("MPX") to complete an airborne geophysical program (the "Program") on the Company's La Cigarra silver project located in Chihuahua State, Mexico. Vancouver, British Columbia, February 10, 2014 (TSX-V: CMJ, Frankfurt: X6C) – Colombian Mines Corporation("Colombian Mines" or the "Company") is pleased to announce that a recently completed high resolution airborne magnetic and radiometric survey at the Company’s Mercedes project in Tolima Department, Colombia has identified multiple, large, linear magnetic anomalies, some in excess of seven (7) kilometers long that are commonly associated with coincident potassium anomalies. 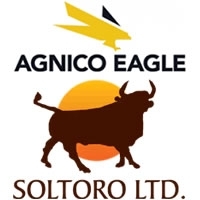 Soltoro Ltd. & Gold Reserve Inc.
Soltoro Ltd. (TSX VENTURE:SOL) has received a property-wide aeromagnetic survey and assay results from over 1,350 soil and rock samples taken at La Tortuga by Gold Reserve Inc. (TSX VENTURE:GRZ) (OTCQB:GDRZF). Gold Reserve is in the second year of an earn-in option and may acquire an undivided 51% interest in Soltoro's La Tortuga property by making an aggregate US$3,650,000 in option payments and property expenditures over three years. Oceanus Resources Corporation (TSXV: OCN) ("Oceanus" or the “Company”) announces that further to its press release of April 18, 2013, MPX Geophysics of Markham Ontario (“MPX”) has completed 605 line kilometer Helicopter Magnetometer and Gamma Spectrometer (“Radiometrics”) on the La Lajita property covering over 3,200 hectares in Durango, Mexico. September 11, 2012 - Arctic Star Exploration Corp. (TSXv:ADD) (the "Company" or "Arctic Star") is pleased to report receiving the final data from the recently completed heli-borne geophysiscal survey on the El Havila property (the "Property"), located 32 kilometres ENE of Frontino, Colombia. Waymar Resources Ltd. ("Waymar" or the "Company") (WYM.V - News) is pleased to announce the completion of a 2,867 km helicopter magnetic and radiometric survey, covering approximately 260 km2, over their Anza project in Antioquia, Colombia. Cabia Goldhills Inc. ("Cabia")(TSX VENTURE:CGH) is pleased to provide an update on the exploration activities at its 100% owned Mejia Gold Project, Colombia. Following the acquisition of the project, Cabia contracted MPX Geophysics Ltd to complete an airborne magnetic and radiometric survey comprising 694 line-km over its property. 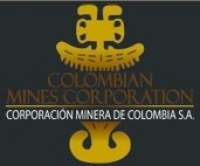 CuOro Resources Corp announces that it has received the final data, maps, and report on theairborne magnetometer and radiometric survey which was conducted by MPX Geophysics Ltd(“MPX”) over the Company’s 100% owned Santa Elena Project, located in the Department of Antioquia, Colombia. Rugby Mining Limited ("Rugby" or the "Company") (TSX-V:RUG, FRANKFURT: 7RM.F) is pleased to announce the completion of a 555 line kilometre helicopterborne geophysical survey at the Comita Project in Colombia and report additional assay results from the initial drilling program at its Mabuhay gold copper project located near Surigao, Philippines. Samaranta Mining Corporation (TSX-V: SAX.V - News) ("Samaranta") announces that further to its press release of July 14, 2011, MPX Geophysics of Markham Ontario ("MPX") has completed 501 line kilometer Helicopter Magnetometer and Gamma Spectrometer (Radiometrics) survey on four separate Samaranta properties, including the Guadalupe property, located adjacent to the northern boundary of the Frontino Gold Mines in Antioquia, Colombia.